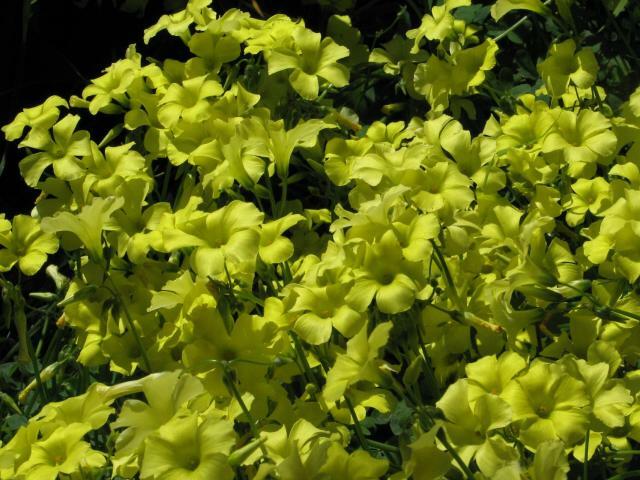 Oxalis pes-caprae known as the Bermuda Buttercup has become a major weed in many Mediterranean areas of the world. 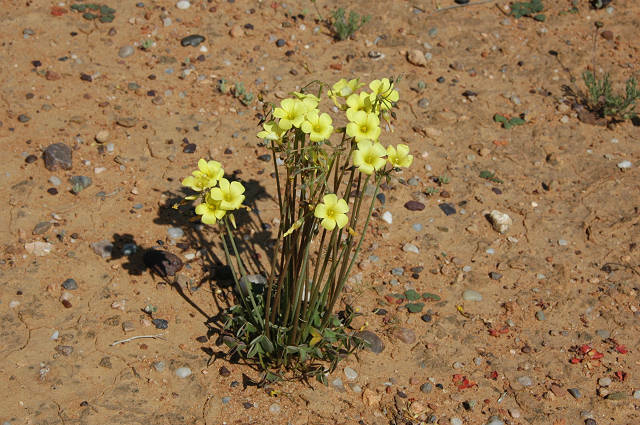 It grows in sandy soil in Namibia, Namaqualand and the western Cape. 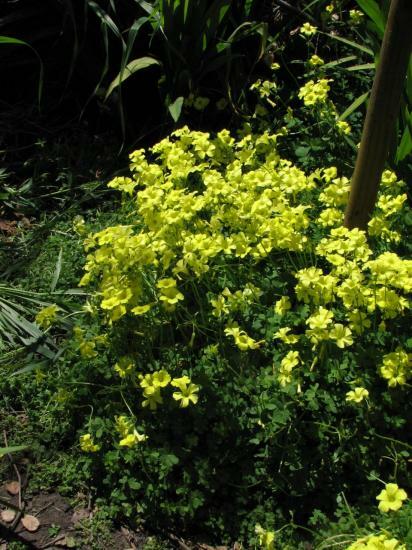 It is a tall robust species that develops numerous bulbils and has bright yellow flowers in an umbel. 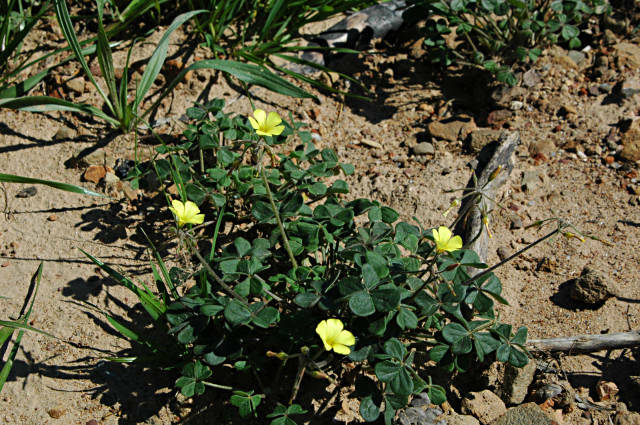 The leaves are trifoliate, often with purple edges or dots. 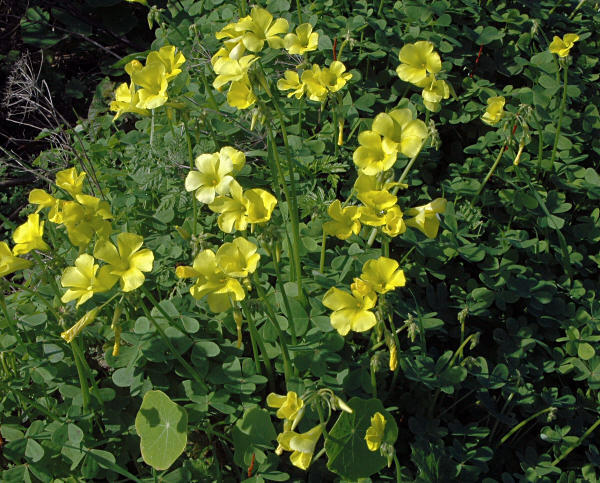 Oxalis pes-caprae could be and is often confused with some similar species, namely O. compressa, O. copiosa and O. haedulipes. 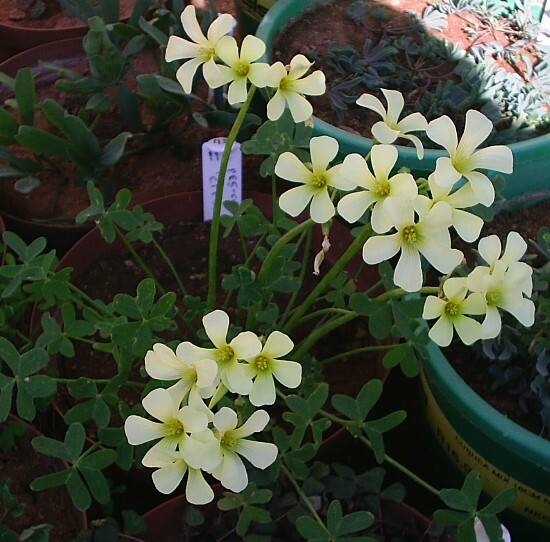 See the text at Oxalis copiosa as to how to distinguish between these species. 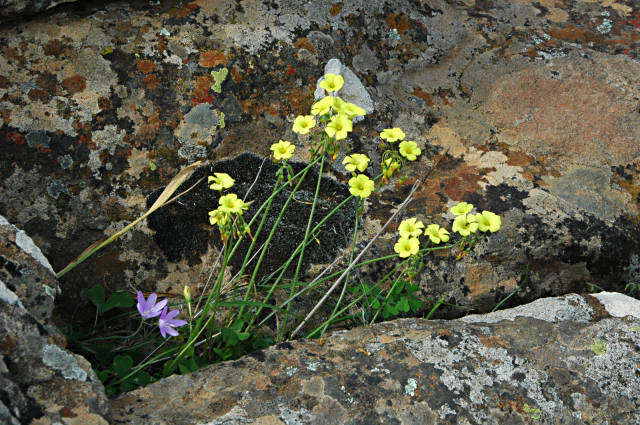 It is interesting for exhibiting heterostyly with three morphs, in other words there are three self non-pollinating versions of flowers. The name means "goat's foot". There is a double form, which is said to be less invasive. Exterminating this species from an area requires efforts over multiple years. The plants must be pulled after they have exhausted their bulb reserves and before making new ones. Some growers have luck with spreading black plastic over the area where these plants grow and allow the bright sun to bake the plants. This method is only moderately effective because bulbs that are deep underground will be protected from the baking. Habitat pictures below. 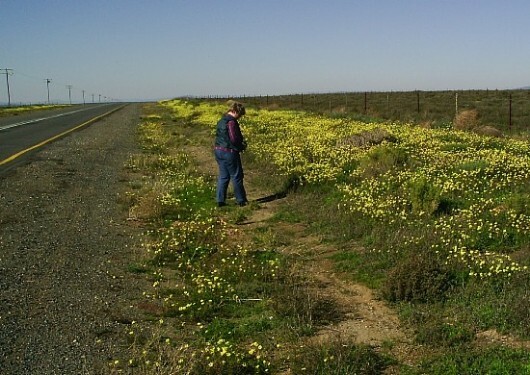 The first photo by Christiaan van Schalkwyk shows masses of flowers near Calvinia. The second was taken near Brackenfell by Mary Sue Ittner. Three through five were taken near Nieuwoudtville by Mary Sue Ittner and Bob Rutemoeller. 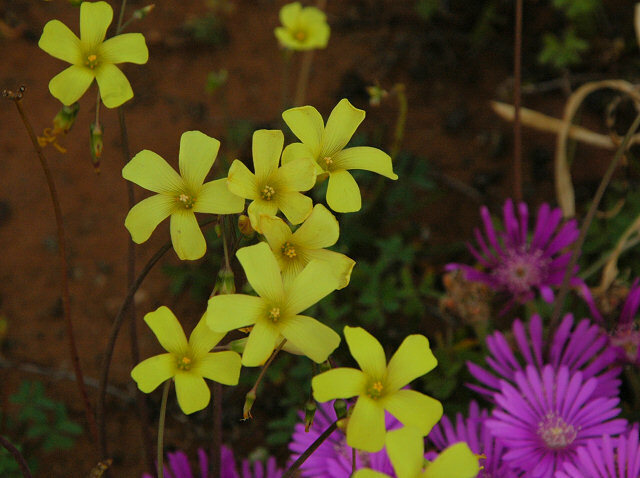 The photo below by Christiaan van Schalkwyk is a cream colored form found among the normal yellows pictured above at Calvinia. The next two photos are of double forms. 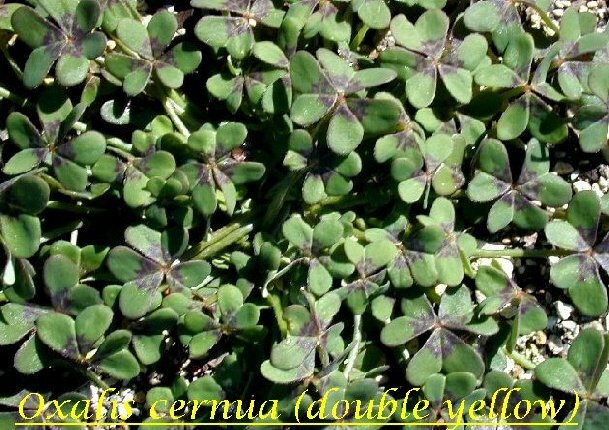 The first picture from Bill Dijk is a double form sometimes seen under the name Oxalis cernua. The second was collected in Oorlogskloof. Photo by Pieter van der Walt. Photos 1-2 were taken by Mary Sue Ittner on the Mendocino Sonoma Coast where it has escaped. 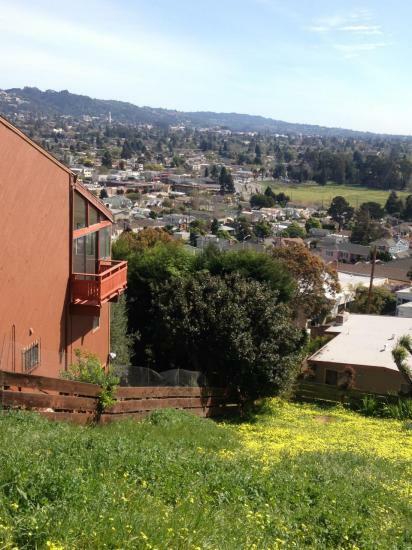 Photos 3-5 were taken by Nhu Nguyen from his backyard where this plant grows as a weed. 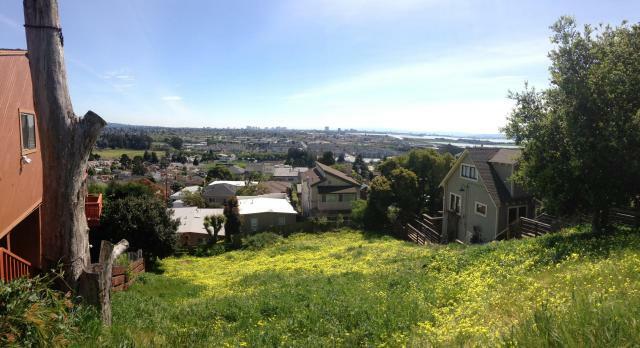 The photos below were taken by Jacob Uluwehi Knecht of a hillside in Berkeley, a typical habitat for these plants to grow in abundance. The photos below show the root morphology of the plant. 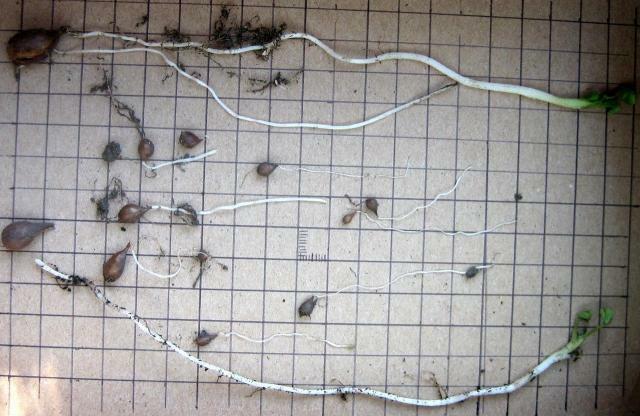 Photo 1 on a 1 cm grid by M. Gastil-Buhl shows how deep the bulbs can grow, sending up shoots nearly 20 cm to the surface. 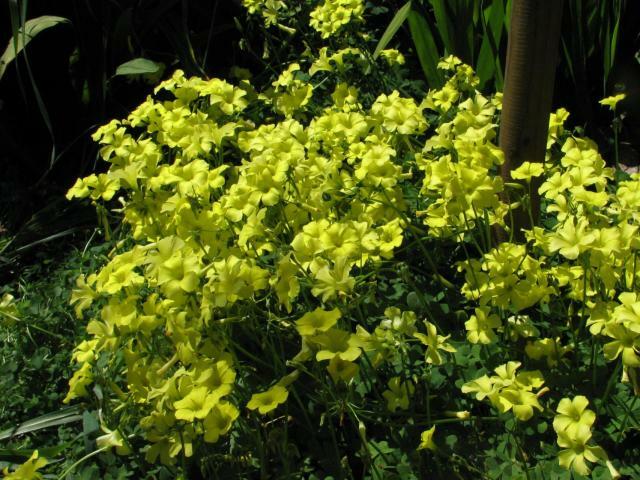 This is the initial stages of growth early in the autumn growing season. 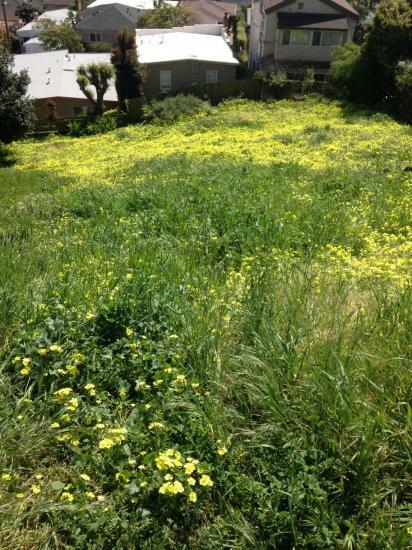 Photo 2 by Nhu Nguyen shows the plants in a later stage of development in spring when the plants are beginning to flower. 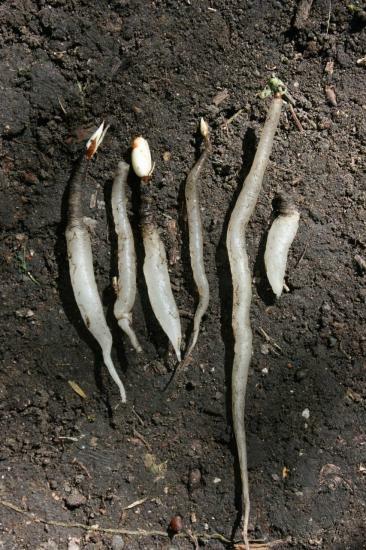 The photo shows succulent roots, attached to the bulb. 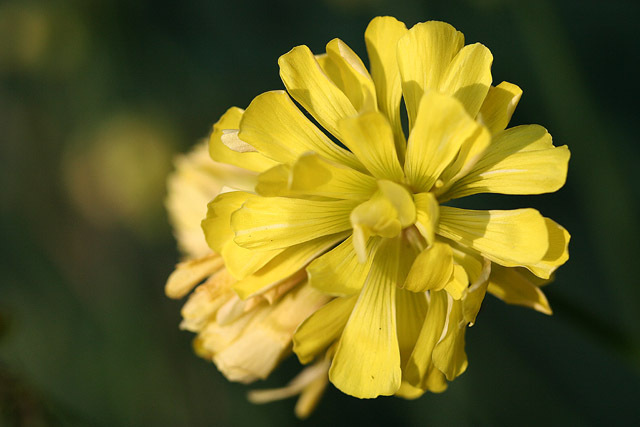 These fleshy roots are common to Oxalis bulbs. 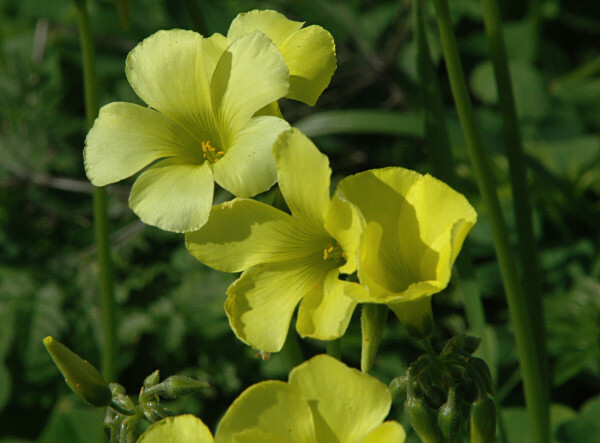 They often serve as contractile roots, pulling the bulbs deeper into the ground. Eventually, the new bulb on top of the succulent roots will mature and be ready for a dry summer dormancy.